Our Micro, Mini and Midi Diggers can be equipped with a wide range of bucket sizes and attachments to suit your job. Digger sizes are available from 1t to 6t and offer impressive power and resilience. Both operated and self-driving options are available for Micro, Mini and Midi Digger plant hire in Nottingham and the surrounding areas. If you’re interested in hiring these vehicles and wish to read more, see Micro, Mini and Midi Diggers. Benefit from our wide range of top brand machinery, available in sizes from 8t to 24t to suit your individual needs. 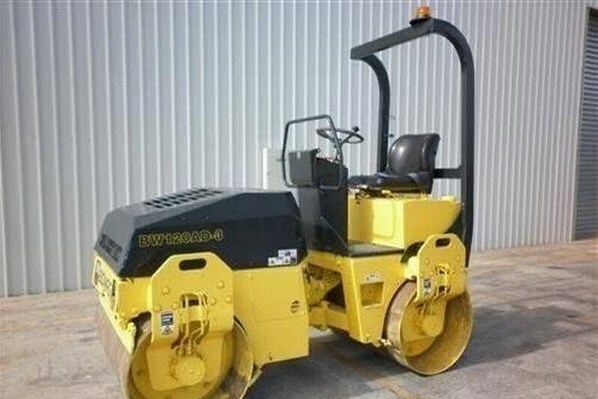 This plant can be hired in Nottingham and the surrounding area either operated or as a self-drive. For more information, please see tracked excavators. 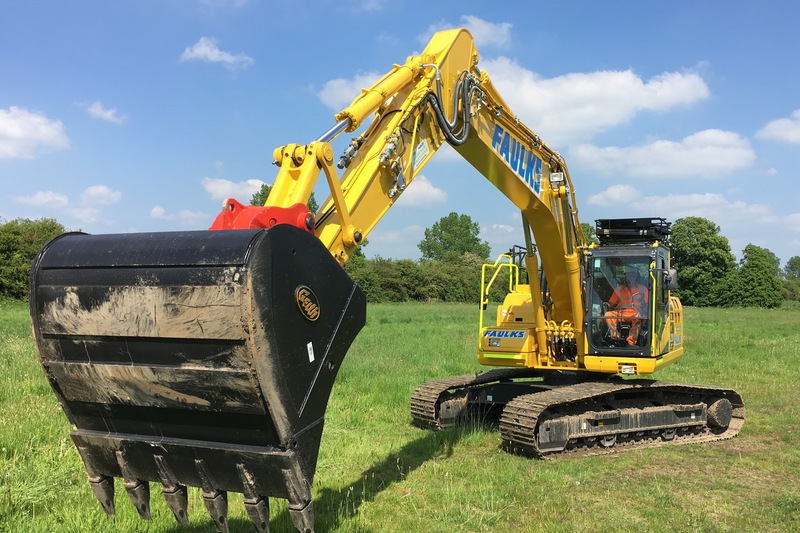 Our wheeled excavator plants for hire in Nottingham are available for both operated and self-drive hire and come in sizes of 10t through to 19t. 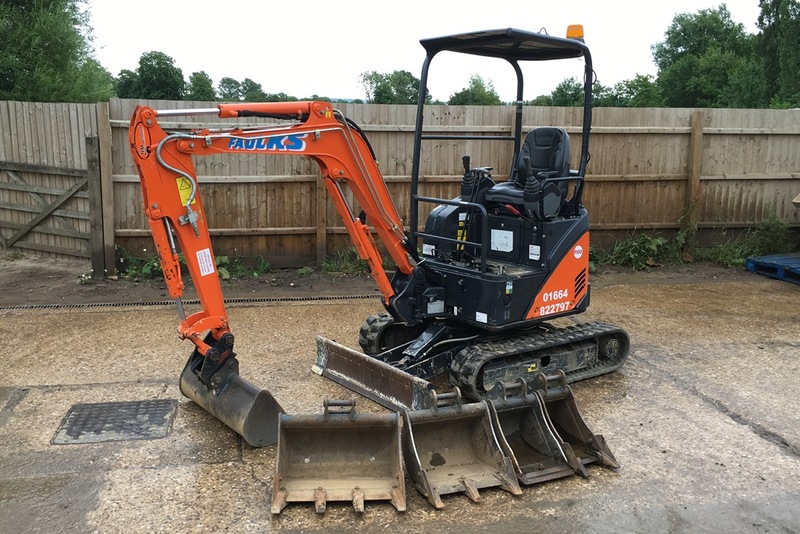 We also offer a wide range of attachments for this vehicle to make sure you have the best tool for the job. For detailed information please see wheeled excavators. Take advantage of our dozers for the ultimate tool in site stripping, filling and trimming. Our dozers can be fitted with 2D and 3D auto levelling systems including GPS to make your task easier, more productive and very accurate. Experience the best with our Volvo A25 articulated dumptrucks. With 305 horsepower, travel speeds of up to 53km/hour and an carrying capacity of 25t , the Volvo A25 will make your task at hand a fast and efficient experience over the most demanding site terrain. 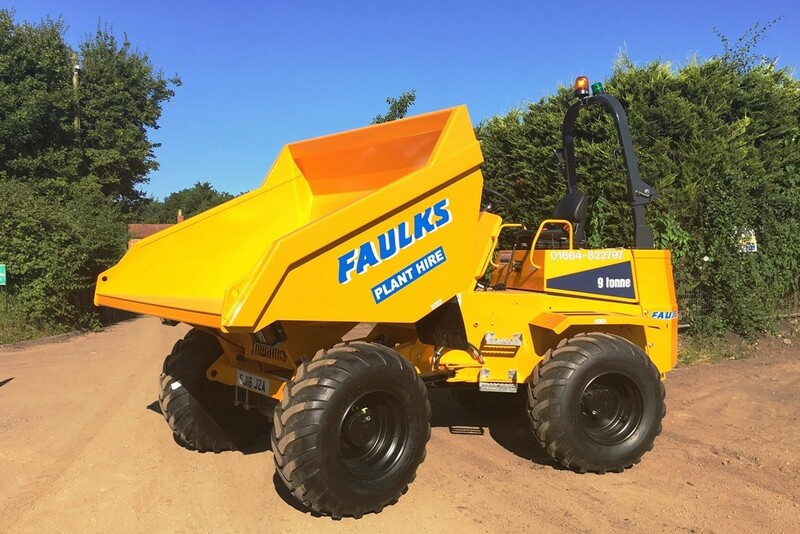 Looking on the smaller end of the spectrum for dumpers; AE Faulks Ltd have available an impressive range of site dumper plants for hire in Nottingham (from 3t to 9t). Our site dumpers come with a variety of builds with individual features, such as the ability to swivel tip, forward tip and high-tip. 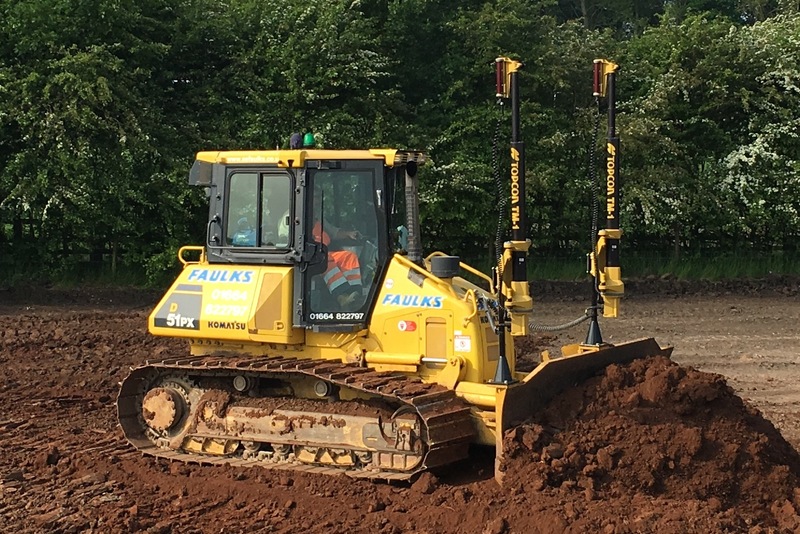 Hire compaction vehicles from AE Faulks Ltd for top of the range equipment. 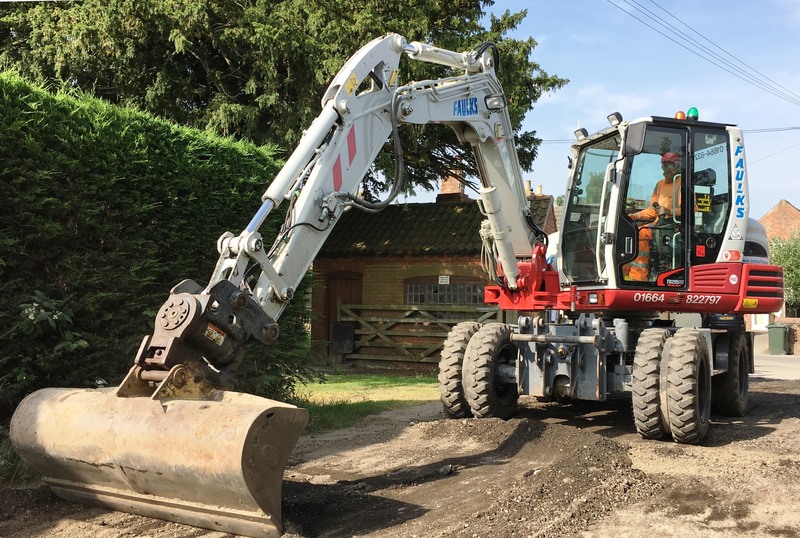 Featuring sit-on tandem rollers, our compaction equipment will provide you with the necessary power to compact earthworks, aggregates and tarmac with ease. 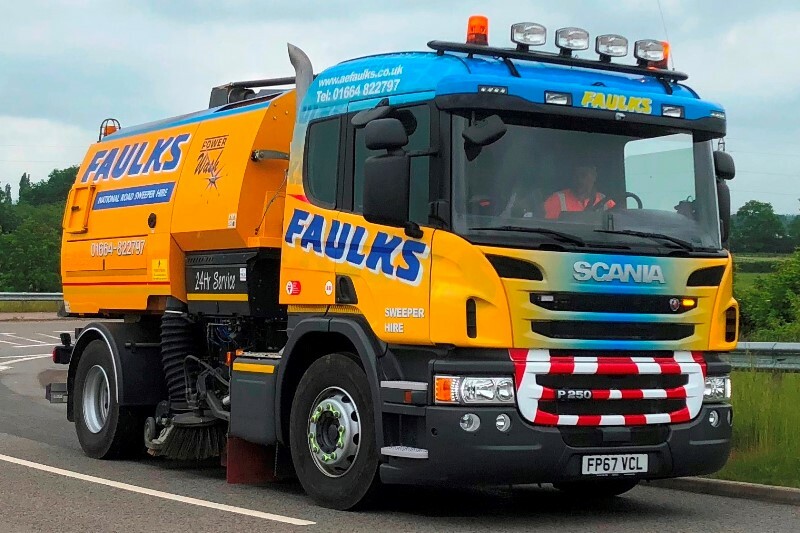 At AE Faulks Ltd, we provide two models of agricultural tractors which come in a variety of towed/mounted attachments, such as dust suppression bowser and vacuum tanker hire, readily available for whatever your needs may be. 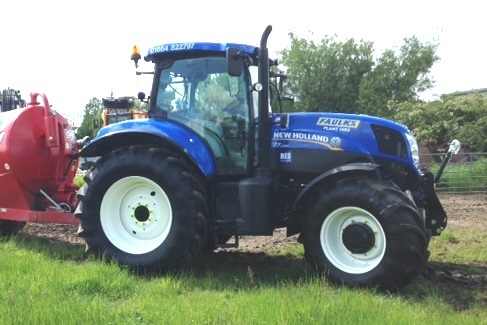 If you’re searching for a tractor that’s versatile and delivers high torque, hire one of our agricultural tractors today. Whether you are sweeping construction sites, industrial estate roads or compounds our range of modern road sweepers have the capability to meet your requirements. Our operators are professionally trained and our sweepers are fitted with the latest safety equipment. Request a quote online or speak to one of our experts on 01664 822 797 (option 2) today. 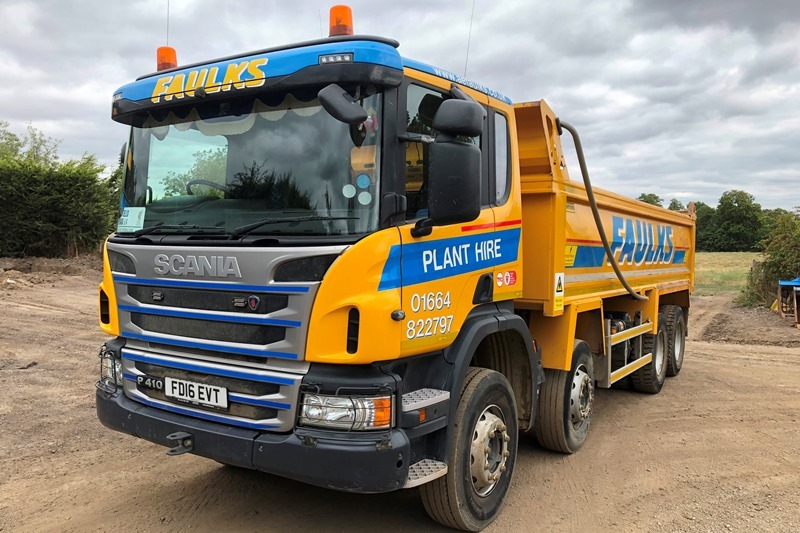 Available on a contract or hourly-hire basis, our fleet of modern tipper lorries are able to safely handle your construction and demolition. Whether you are requiring off-site disposal or needing recycled aggregates importing, contact us today for more information or request a quote online. 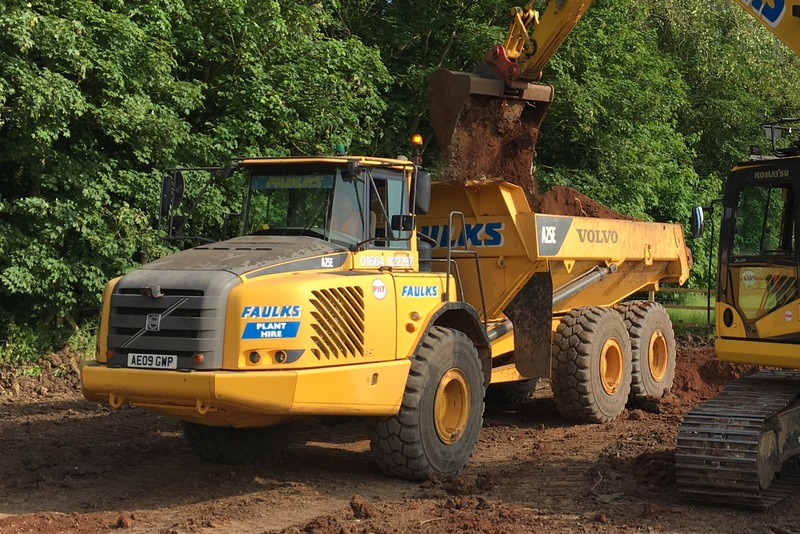 If you’re interested in enquiring further with AE Faulks for plant hire in Nottingham, don’t hesitate to contact us either via telephone on 01664 822 797 or through filling out our quick online quote form below.